Buhari directs Osinbajo to sign 2017 budget – Royal Times of Nigeria. President Muhammadu Buhari has directed Acting President Yemi Osinbajo to sign the 2017 appropriation bill into law. 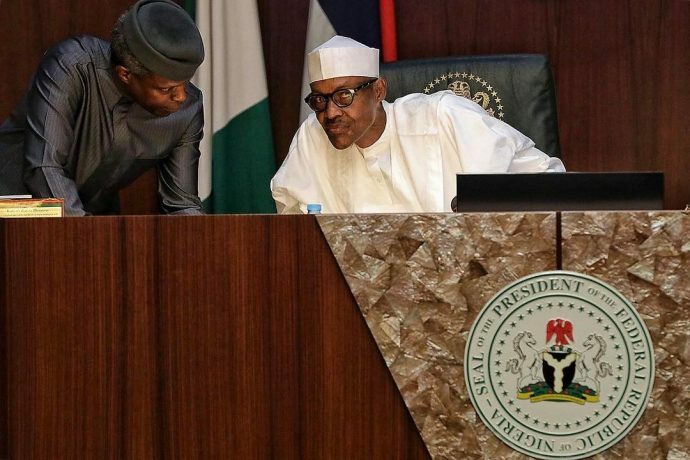 Garba Shehu, presidential spokesman who made this known in a statement on Monday, said Buhari indicated that signing the budget was in the interest of the country. The statement read; “Following the receipt of a full brief on the 2017 appropriation bill as passed by the national assembly, and to buttress the unity at the highest level of government, President Muhammadu Buhari has indicated that it is in the interest of the nation’s economy for the Acting President, Professor Yemi Osinbajo, to sign the appropriation bill into law,”.